Technology is witnessing advancement at a rapid speed thus involving more and more people towards its benefits. 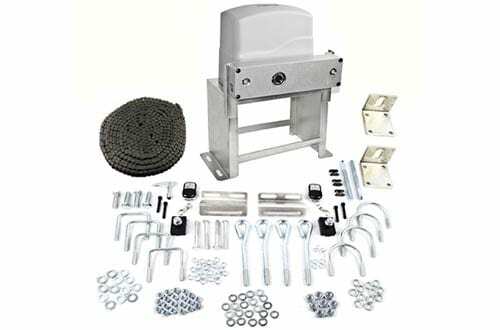 Sliding gate openers are an innovation that can provide a new meaning to comfort and security with their outstanding features. Gone are the days when you need a human force for opening those huge gates, with automatic sliding door openers you can control the movement of any gate of any size with just a touch of a button. These are remotely controlled, can be combined even with huge size gates, add a sense of automatic security and most importantly eliminates the need for human force. 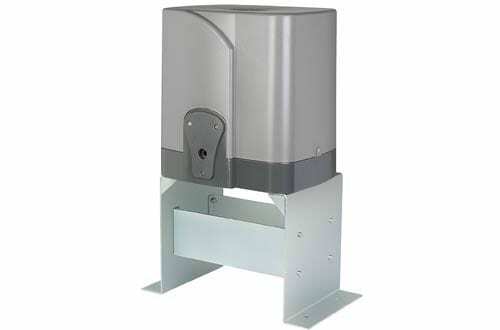 But, when it comes to choosing the right model of a sliding gate opener, people often feel perplexed and puzzled. To help you with this problem, we have created this article that features the best automatic door openers. 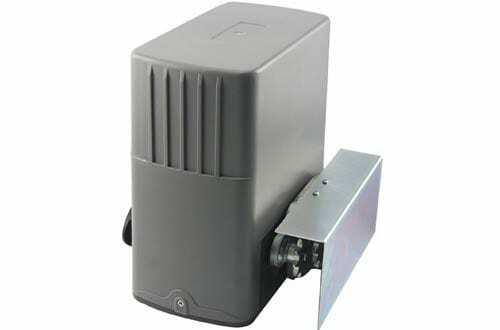 You also can find more about the overhead garage door openers. Automatic sliding door openers are designed to deliver your optimum security in every direction and this gate opener is mastered with RF Hopping Code Technology and advanced technology that prohibits the remote code to be accessible to others. 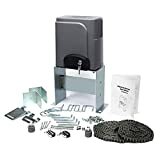 It’s smart and quite efficient as well, as this gate opener does the job well even in cases of huge doors that rise up to 40 ft and weighs up to 1400 lbs. To make it more user-friendly, the remote control comes with only 4 button operation that controls opening, closing and when to stop and start. Auto Close feature allows you to close the gate automatically after 12/24/36 seconds. Gives you the benefit of adding more remotes, as many as 23. 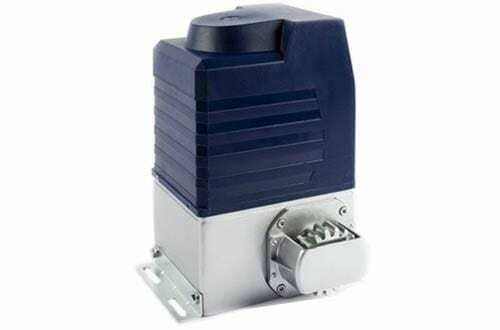 Power 55RPM motor with 200W of output power. 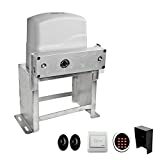 This excellent sliding gate opener comes with the advantage of 2 wireless remotes that can control the gate opening procedure without any challenges whatsoever. 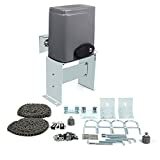 It comes with innovative use of technology that allows you a 100 ft range on the remote and works amazingly well even on heavyweight doors up to 1400 lbs. 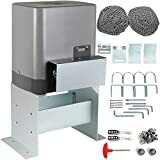 Furthermore, you get a reliable gate opener that is capable of auto shutting after 12, 24 as well as 36 seconds of opening. The powerful 66 RPM motor brings out a moving speed of 43ft/min which is fast and extremely impressive. 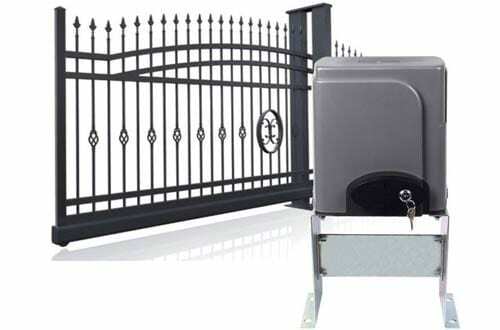 Reliable safety feature which makes the gate stop and reverses in case of any unforeseen obstruction. A power output of 200 W.
The pedestrian mode allows the gate to be opened up to 5 ft, specifically for people to pass through. Protect your property with a safe and convenient powered gate with the Vevor door opener which is both smart and reliable in every way. It delivers an impressive output torque of 16 Nm combined with a 66RPM motor and a power output of 200W, making it a fast gate opener for heavier gates up to 600 kgs. The user-friendly remote has a total of 4 buttons for open, stop, close and also pedestrian mode. 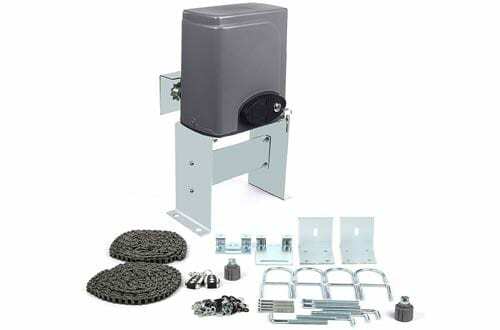 Also, it delivers a moving speed 43ft/min which is extremely fast for a gate opener. Less noisy as produces less than 56 dB. Remote has a minimalistic 4 button operations. Can be used with infrared sensors, alarms, solar panels and even keypads. The Aleko sliding door opener comes with a number of standout features that are suited for varied needs of consumers. 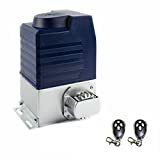 The powerful 3/4 HP motor is one of the most striking features of this gate opener and the 20 ft chain is a perfect size for huge sized gates. 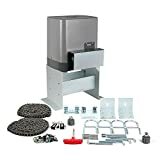 Moreover, this gate opener can open gates that measure 50 ft long and weighs as much as 1400 pounds without any challenges. The ease of installation and set-up makes it quite a popular model and the included 2 remotes are meant to serve the purposes in the right manner. Supports as many as 100 remotes. Corrosion resistant aluminium alloy chassis construction. The Biltek model comes with 2 remote controls that make it easier to use and can work amazingly well for gates measuring 40 ft long and weigh till 1400 pounds. This model also comes with a long 20 ft chain which makes the operation more reliable and trustworthy every single time. Besides, it delivers an impressive 16 Nm of torque and a motor that rotates at a speed of 55 RPM making it an ideal choice for various needs. 100 ft remote control range and delivers an output power of 200W. Adjustable functions for soft start and slow stop. 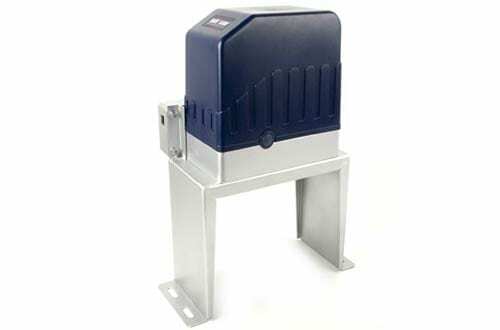 This is a powerful model of sliding gate opener that comes with the trust and reliability of Aleko. 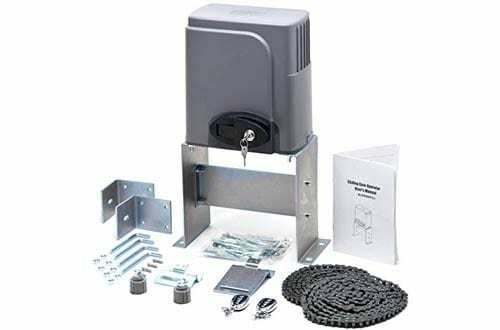 This gate opener is powered by an exceptional 2 HP motor that is extremely powerful and delivers impressive performance. 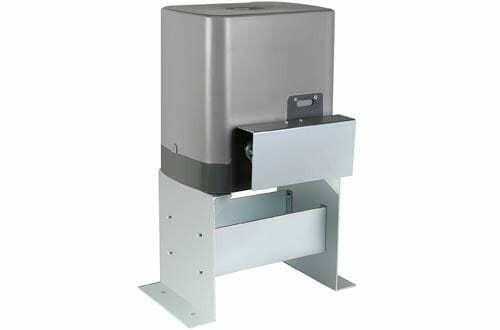 It is capable of opening heavyweight gates up to 2000 lbs and even 60 ft long ones as well. The 120V AC input voltage rating makes it easier to use in any household without any issues. Furthermore, this delivers an impressive initial torque and can run non-stop without any letdowns. Supports up to 100 remotes. Premium and reliable aluminium alloy construction. Sliding door openers are meant to deliver you ultra convenience in terms of opening heavy gates automatically and wirelessly without any obstructions whatsoever. 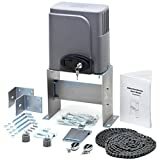 The BestEquip model is a powerful gate opener that delivers an immense power output of 500W, suited for speedy movement even for heavier gates that can weigh up to 3100 pounds. It comes with a wide remote control range of 100 ft and a powerful motor of 66 RMP for utmost efficiency. Impressive moving speed of 8.5” per second. An auto-close feature can be set to close the door after 12, 24, or 36 seconds. 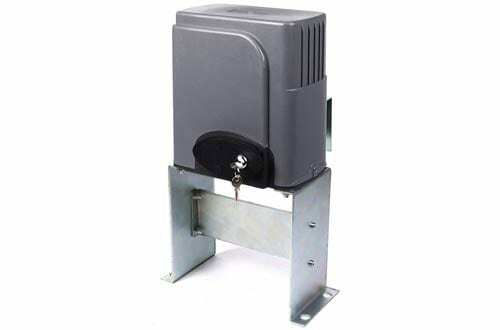 The Aleko 1500 ACC model of gate opener is designed keeping the requirement of security in mind. It features remote codes that can be erased and programmed as per your wish. Furthermore, it comes with a complete package that is required for installation and you get 2 remotes for ease of use as well. The aluminium alloy chassis on this model is meant to last without any damages and makes it extremely lightweight, thus easier to install. At the very top of the list, you get the model that has the most workable, efficient, and reliable features meant to deliver for optimal performances. 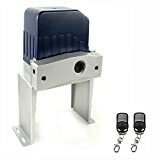 The OrangeA sliding gate opener is a heavy duty model that has an exceptional output power of 500W, suited to work with gates that can weigh up to 3100 lbs. Also, you get a magnetic limit switch operation, the advantage of a powerful 66 RMP motor and even an impressive speed of 43 ft/min. Undoubtedly, this model can serve all your heavy-duty needs with ease and trust. These technological advancements are meant to make everyday life easier in every sense. 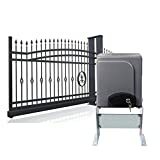 Once you give this a thorough read, choosing the right model will not be of any issue in finding the best sliding gate openers.